Plans to build a “mega-collider” somewhere in China appear to be moving forward with construction set to begin as early as 2022. Known as the Circular Electron–Positron Collider (CEPC), it would be the world’s largest collider. Too bad it’ll be located behind The Great Firewall. The Chinese government seems to have a serious case of wanting to have its cake and eat it too when it comes to science, censorship, and the nation’s technological future. On the one hand it’s funneling money directly into future-tech like AI and quantum computing in amounts that are quickly propelling it to the global forefront. On the other hand: China censors the internet, and that makes it unpalatable as a research environment. This also makes the CEPC a direct competitor to similar initiatives (such as the planned LHC upgrade) as opposed to an international research tool. This is because it will be difficult for the international community to use the device if it’s in China, due to travel restrictions for some countries, and fears that censorship will impede researchers. Such a center would help China to become more internationalized, more open towards the world. And it is going to bring more resources to the scientific community. People at the very beginning may feel that it is not as convenient compared to Switzerland. But we hope that the collider would be a good thing, at least for the Chinese. Unfortunately, thanks to President Donald Trump’s trade war, there’s probably very little likelihood that US investors will support the CEPC. And even less that Europeans will, considering the aforementioned LHC upgrade plans. In related news, scientists in Germany have engineered a proof-of-concept for an achievement in particle acceleration on the other side of the size spectrum: one small enough to fit on a silicon chip. This type of chip could reduce the size of some colliders by a factor of 10, and could potentially make it possible to mass-produce electron accelerators. It could also lead to smaller transistors in microchips — meaning smaller computer processors with more power. The potential for particle acellerator breakthroughs in the world of physics research extends beyond simply making bigger or smaller tools for scientists. 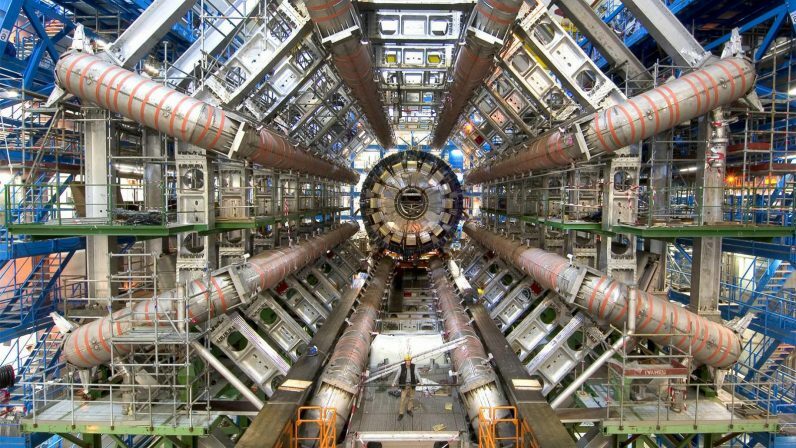 With a giant collider, no matter where it’s built, scientists will explore the same vein of research that led to the discovery of the God Particle. Let’s just hope it ends up somewhere accessible to the international physics community, not hidden behind censorship in a place where Winnie The Pooh is too controversial for politicians.